Instead of TJ’s “Become Kyouya” program, I’m going to start my own “Become Ishida in 365 days” program. It’s much easier because 1) I don’t need to be re-born into a rich and powerful family and 2) it’s much easier to acquire a bad taste in fashion than extreme intelligence and cunning. As Ichigo, Ishida and Sado runs through Hueco Mundo, Sado mentions Ishida’s promise with his father to never associate with Shinigami again. Ichigo asks why Ishida is there with them, so Ishida explains why he joined them. Urahara broke into Ishida’s home, and told Ishida about Orihime’s kidnapping, and about how Ichigo plans to go save Orihime by himself, since the Soul Society has abandoned Orihime. Ishida said that he will go save Orihime alone, but after realising that Ichigo is going by himself, he asked Urahara to get him out so that he might join Ichigo. Ishida explains that he was able to join them because Ichigo is a “Temporary Shinigami” and that he has been abandoned by Soul Society, so he is neither a Shinigami nor associated with Shinigamis. Back at Ishida’s house, Kurosaki (father) and Ishida (father) chat with each other about their children and what horrible fathers they are. At Hueco Mundo, Orihime frets about getting hungry. She thinks about what she had done up to this point, and wonders whether it was really a good idea to come here and heal Grimmjaw. A strong presence was felt throughout Hueco Mundo when Ichigo and co. enters. Ichigo wonders at the solidity of the place, but before they could plan their next move a giant shadow looms over them threateningly. Not much going on here, mostly a transition chapter explaining the presence of Ishida and giving a few more hints about the adults. It seems that Ishida’s father (whose name I forgot) knows Isshin, and at some point in time Isshin lost his powers. He’s regained it, which causes us to wonder how – the same way that Ichigo did? That would also make him a Vaizard. 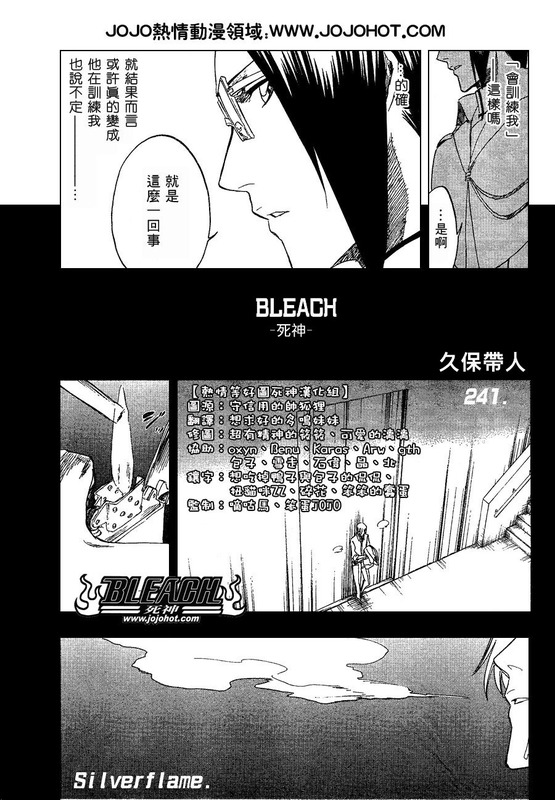 Aizen expects Ichigo; that’s probably part of the reason why he kidnapped Orihime. Really, other than that I can’t find much to talk about this chapter. I can speculate on Ishida’s (father) and Kurosaki’s (father) past, but there’s simply not enough we know right now. What does Aizen want with Ichigo? He seems interested in Ichigo for some very strange reason… maybe it has something to do with the Hollow inside him. Can a Vaizard be turned into a hollow? Ichigo’s hollow warned him to be careful about being taken over, and he mentioned that Zangetsu, the representation of his Shinigami power, and the hollow power are two sides of the same thing; so I think that’s a possibility that a Arankaru can be turned into a Vaizard and a Vaizard into an Arankaru. A point that is sorta related to the above point of Vaizard vs Arankaru – All hollows seems to be evil, but not all Shinigami are good. The same apply to the Vaizard and Arankaru – all Arankaru seems to be evil, though that remains to be seen with the Vaizard. But Vaizards are more akin to Shinigami than Hollows, so if there can be evil shinigamis, it’s likely that there are evil Vaizards. The balance of good vs. evil in the Bleach world seems a bit tipped, dontcha think?